Alternative packaging for premium offerings and direct shipping help fuel control state wine growth. 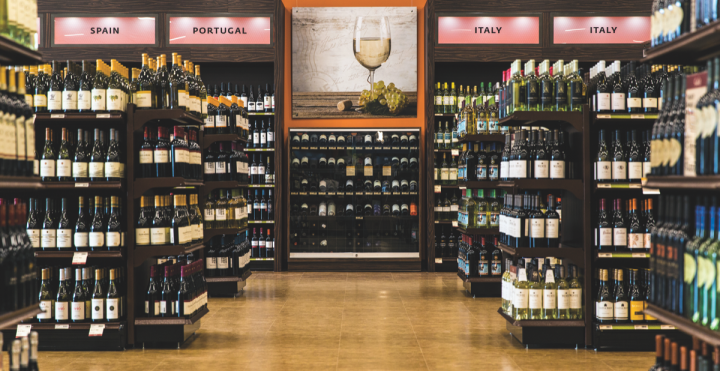 Rosé offerings, sparkling wine, Cabernet Sauvignon, and alternative packaging have all contributed to wine sales growth at the Pennsylvania Liquor Control Board's Fine Wine & Good Spirits stores (Glen Mills, Pennsylvania store interior pictured). Wine volume in the six control state markets that are the sole wine wholesalers in their territories— Pennsylvania, New Hampshire, Utah, Mississippi, Wyoming, and Montgomery County, Maryland—increased by about 2% last year to 18.85 million 9-liter cases, according to the National Alcohol Beverage Control Association (NABCA) and Impact Databank. The growth rate of these markets kept pace with national trends. Pennsylvania has revolutionized its wine market over the past two years, thanks to legislation in 2016 that opened up direct shipping and expanded retail wine sales beyond state-owned stores to allow sales by other retailers. Permitting direct shipping of wine has led to a growth in sales: Last year was the first full calendar year for direct shipping, and Pennsylvania Liquor Control Board (PLCB) chairman Tim Holden estimated it at $50 million, or about 5% of the total Pennsylvania wine market. As of March 2018, Pennsylvania had 978 licensed direct wine shippers. Residents can receive up to 36 cases of wine annually for personal use if the cases are shipped by a PLCB-licensed wine producer. “As we cede some wine sales to other players, we’re presented with the opportunity to re-examine our portfolios and optimize the breadth of our wine selection,” Holden says. 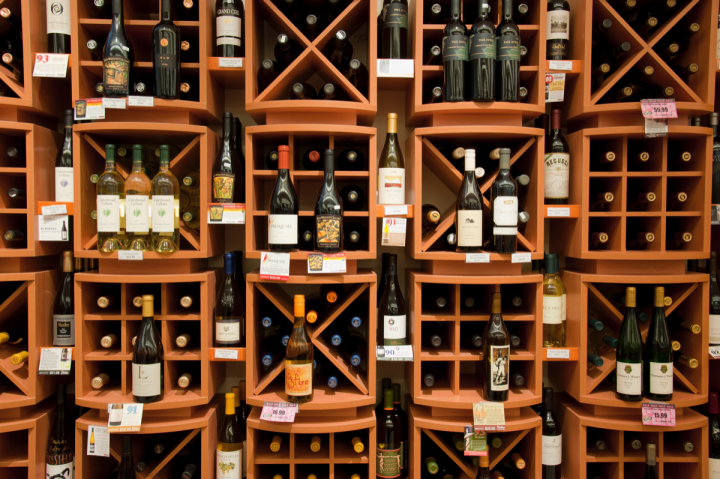 Expanded retail wine sales allow licensees to sell up to three liters of wine per transaction. In March, there were 626 licensees with expanded permits, including about 270 grocery accounts, 140 restaurants, and 115 convenience stores, with the rest held by bottle shops and hotels. The number of licensees has more than tripled since last year, when it was at 190, and there’s no limit on the number of permits that may be issued. Taking more of an open-market stance has created a major shift in Pennsylvania’s wine business model, which may help blunt any potential future privatization efforts. Although some market share is shifting from the PLCB’s retail establishments, the state stores still have an edge. “Our Fine Wine & Good Spirits stores are distinguished from competitors by our broad selection of wine and knowledgeable staff, who help consumers learn about wine and make selection and pairing decisions,” Holden says. The New Hampshire Liquor Commission's (Hooksett Northbound outlet pictured) "Power Buy" program offers fine wine at highly competitive prices by negotiating special deals with suppliers. Rosé offerings, 3-liter wine boxes, Cabernet Sauvignon, sparklers, and canned wine have all contributed to growth. Rosé dollar sales grew more than 20% last year on a volume gain of 18.8%. Dry rosé is becoming such a popular item that the PLCB has added a separate section for the wines on store shelves. Leading rosé wine brands in Pennsylvania include Barefoot Pink Moscato ($8 a 750-ml. ), Beringer Main and Vine White Zinfandel ($9), 2016 Château d’Esclans Whispering Angel Côtes de Provence Rosé ($22), and Sutter Home White Zinfandel ($8). While Pinot Noir and Sauvignon Blanc from New Zealand are emerging segments at New Hampshire Liquor & Wine outlets (Hooksett Northbound outlet interior pictured), dry rosé, high-end red blends, and sparkling wine offerings are leading dollar sales growth. Other control states like New Hampshire are experiencing similar trends for dry rosés, high-end reds, and sparkling wines. Dry rosé dollar sales in New Hampshire last year increased by 46%, and high-end red blends’ dollar sales rose 12%. Other growing segments include sparkling wines, driven by Prosecco, as well as New Zealand wines. “New Zealand Sauvignon Blanc and Pinot Noir are leading the charge,” says Nicole Brassard-Jordan, director of sales, marketing, merchandising, and warehousing at the New Hampshire Liquor Commission (NHLC). While spirits are sold exclusively at New Hampshire Liquor and Wine outlets, wine is also sold at convenience stores, small private wine shops, and grocery stores. Most wine, however, is sold at state stores. The NHLC’s monthly sales, called “Price Busters,” help drive growth. Recent sales included Apothic Crush, Dark, and Red Winemaker’s Blend (all $8 a 750-ml.) and Château Montaud Côtes de Provence Rosé ($11). White wine offerings included Brancott Estate Marlborough Sauvignon Blanc ($8), Clos Du Bois Pinot Grigio and Chardonnay ($8), and Cupcake Pinot Grigio and Chardonnay ($7). The NHLC’s wine buying team negotiates with suppliers to make so-called “Outlet Power Buys,” often because suppliers need to make room for new vintages. “That program brings the finest wines at all price points to our customers at unheard-of savings,” says Joseph Mollica, chairman of the NHLC. 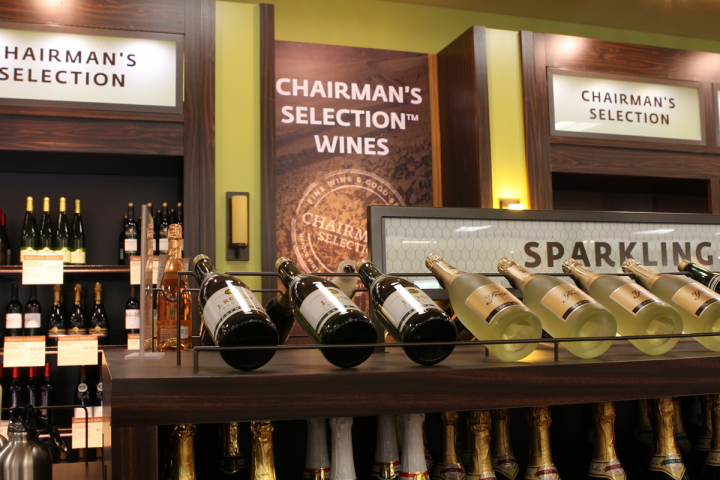 The PLCB’s Chairman’s Selection features discounts for highly rated wines above $10 a 750-ml. Wine packaging continues to evolve, and consumer acceptance is growing. Positioning boxed or canned packaging with premium wine offerings has encouraged consumer confidence in the alternative formats. In Pennsylvania, dollar sales of 3-liter boxes of red wine increased by 8.7% last year. Leading 3-liter brands were Black Box Cabernet Sauvignon ($25), Riunite Lambrusco ($17), and Black Box Pinot Noir ($25). Five-liter boxes of red wine, however, saw the largest decline among the top categories in dollar terms, down 7.9% on a 9% volume decrease. Purchasing wine in smaller-sized containers, including cans, is an emerging trend. Oregon’s Underwood appears to be an early leader in this segment in Pennsylvania. Packaged in 375-ml. cans, Underwood’s Pinot Gris, Pinot Noir, and Rosé ($8 each) are among Pennsylvania’s top-selling canned wines. The PLCB is also testing complex promotions, such as two for $9.99 and buy 3, save 20%, as well as flash sales that run no more than a week instead of the traditional month. 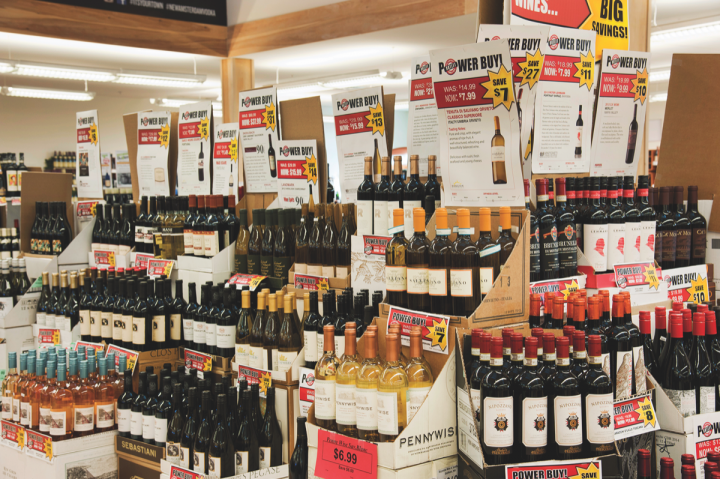 Wines sold through the PLCB’s Chairman’s Selection—focusing on discounts for highly rated wines above $10 a 750-ml.—and Chairman’s Advantage—which offers bottles priced under $10 a 750-ml.—programs increased by a combined 6.8% in dollar sales in 2017. To make the programs more selective, there were 229 fewer SKUs across the programs last year compared to 2016. Sales of local Pennsylvania wines, meanwhile, increased 8.6% to $7.9 million last year in Fine Wine & Good Spirits stores. The stores have “Made in Pennsylvania” sections featuring local wines, and every October the PLCB works with the Pennsylvania Winery Association to promote Pennsylvania Wine Month, including tastings and meet-the-winemaker events. NHLC stores offer some 3,000 brands and 8,460 SKUs of wine (display boxes at Hooksett Northbound outlet pictured). In Utah, the popularity of rosé and sparkling wines and alternative packaging are also contributing to gains. Utah consumers appear to be trading up, with wine sales increasing 4.6% in 2017 to $142.1 million on a 1.8% volume gain to 1.53 million cases. Champagne/sparkling and blush/rosé wines outpaced other segments, with each category notching double-digit growth in both dollar sales and volume growth. There are 1,730 brands and 4,126 SKUs of wine available in Utah, but box wines are the most popular. Four of the top five brands by dollar sales in Utah are box wines: Franzia ($17-$21 a 5-liter box), Black Box ($21-$24 a 3-liter), Peter Vella ($16-$20 a 5-liter), and Bota Box ($22 a 3-liter). Barefoot ($10-$14 a 750-ml.) is the No.-2 wine brand in Utah by dollar sales. The state’s top canned wines include Alloy Chardonnay ($6 a 375-ml. ), House Chardonnay ($6), and Flip Flop Fizzy Sangria ($3 a 250-ml.). Utah is buzzing from wine’s growth. The Utah Department of Alcohol Beverage Control (UDABC) is looking to increase the number of stores in its retail network, and to expand product selection and availability in each unit. 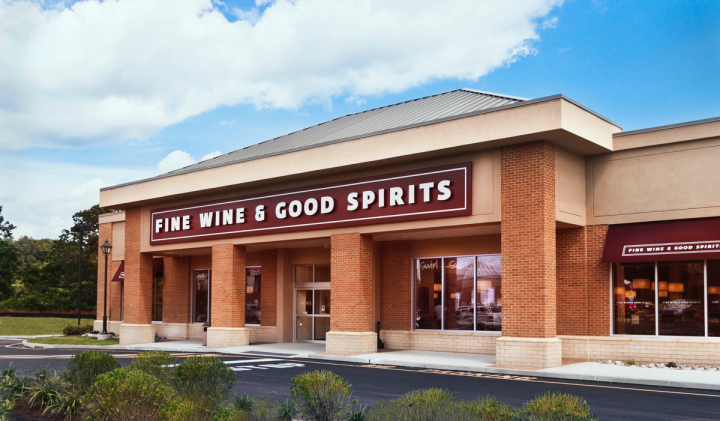 A new wine and spirits location opened in June 2017, and the UDABC is acquiring land to build more stores. If all goes well, the UDABC anticipates receiving legislative approval this year for two more stores and hopes to gain approval for a third store next year. There are 44 State Liquor and Wine stores in Utah and more than 100 package agency or contract stores, some of which sell wine. Salt Lake City has two specialty wine retailers—which offer limited-availability items that change monthly—as well as two of 13 stores statewide that carry expanded wine selections. The UDABC is also exploring the feasibility of adding online sales. This year, the department began implementing a product lifecycle management software system to keep pace with industry innovation, encourage growth potential by providing brands with more opportunities for success, and quickly identify and discontinue non-performing products. “The system should help right-size warehouse and store inventories while improving availability of products in stores where they’re performing,” says Salvador Petilos, executive director of the UDABC. At PLCB stores (Glen Mills, Pennsylvania store exterior pictured) across the state, consumers are growing more comfortable with alternative packaging for wine. Wine sales in Pennsylvania are expected to remain healthy, with the recently added selling channels helping significantly. 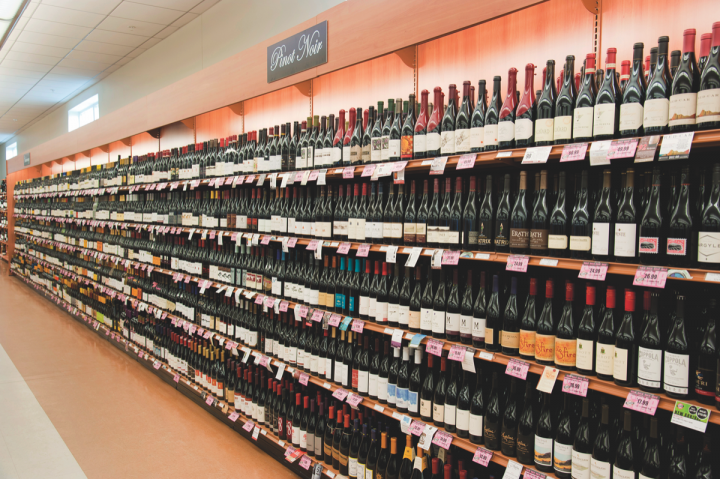 “From a consumer standpoint, the addition of hundreds of new grocery and convenience store outlets makes purchasing a bottle of wine in the state that much easier, and direct wine shipping adds to that consumer convenience,” Holden says.